Nashville, TN — The self-titled debut from the Clarksburg, WV based Davisson Brothers Band (http://davissonbrothersband.com), including the singles “Big City Hillbilly” and “Foot Stompin’,” releases March 10 on CharTunes/Yell Records (http://yellrecords.com), distributed in the US and Canada by E1 Entertainment Distribution. After touring relentlessly for over fifteen years, the band decided it was time to record. “We had put off making a record to make sure we did it right,” says Chris Davisson. “A bad record is like a bad tattoo, it’s always with you.” The CD was produced by veteran producers Dave Hanner, Brian David Willis, and Doug Grau. Dave Hanner is a hit songwriter with many credits including the Don Williams classic “Lord I Hope This Day Is Good,” and is a lifelong member of the CorbinHanner Band. Brian David Willis is the Associate Producer on Brad Paisley’s Play CD and his engineering work can be heard on Paisley’s other CDs in addition to releases by Darius Rucker, Trace Adkins, Blake Shelton, Josh Turner, Keith Urban, George Strait, and many others. Doug Grau produced CDs by Little Texas, Jeff Foxworthy, and Bill Engvall and signed Travis Tritt and David Ball to Warner Bros. Records. The Davisson family has been playing music as long as anyone can remember. Donnie says, “This started way before us. Some of our family members were fiddlers back in the day. We’ve heard stories about a distant uncle who was hired by the B & O Railroad to play fiddle tunes to the workers while walking from West Virginia to Chicago.” The boys heard these stories over the years of working and hanging out on their family farm in Harrison County, WV. The farm has a history of Davissons being there and making music since the late 1700s. On one particular track on the record, the guys took “the recording studio” to the farm. Chris says, “We had to have the real sounds of where we come from on the record and it worked perfect with a song of ours called ‘Found Dead On A Fence Line.’” The Davisson Brothers Band is available March 10, 2009 in stores and online wherever music is sold. 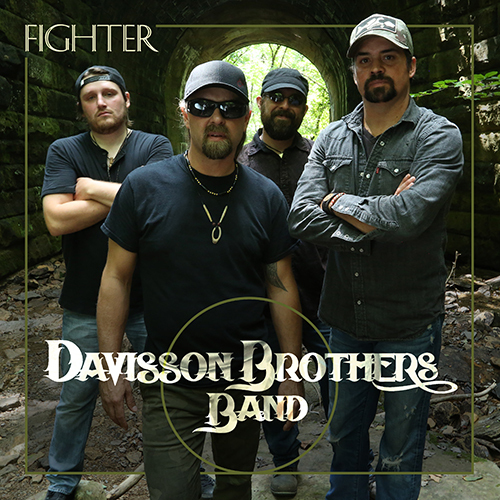 The Davisson Brothers Band’s unique, distinctive sound combined with the band’s talent and energy has gained a loyal fan base all over the Eastern United States. For more information on upcoming performances go to http://davissonbrothersband.com or http://myspace.com/davissonbrothersband1. Pittsburgh-based CharTunes Records has partnered with Nashvillebased Yell Records to sign, develop, record, and market country music artists. Formerly Koch Distribution, E1 Entertainment Distribution is the leading independent music and video distributor in the US and Canada. For more information, contact Doug Grau at 615-385-1601 or by email at doug@yellrecords.com.